Your dog can also attract a lot of fleas, which can make the pet very uncomfortable. If the dog is scratching itself excessively, then that is a sign that it is suffering from flea infestation. Other warning signs include hair loss, bite marks on the skin, allergic dermatitis, and so on. If you do not get rid of the fleas on the dog, then the animal can even suffer from anemia because of the blood loss. A good product to use for killing the fleas on the dog is Advecta3. It will not only remove the fleas, but also the eggs and larvae. If you wish to buy the product, you can get it here. This is an extremely contagious disease that you should be very wary about. Dogs usually get affected by kennel cough because of associating with other infected dogs. As such, you should be very careful of the company your dog keeps. 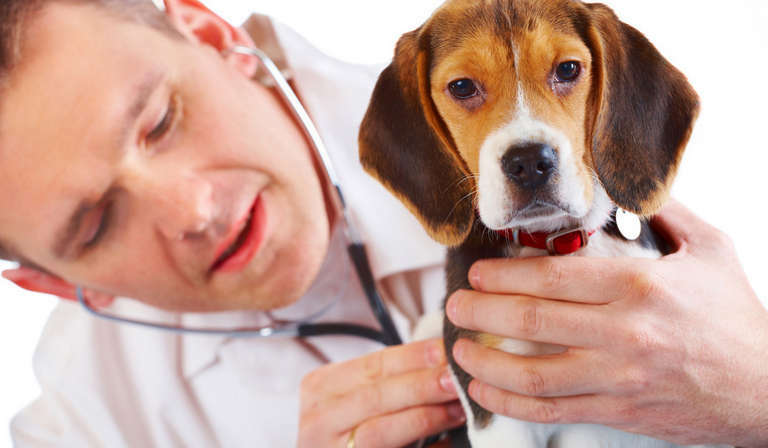 Once affected by kennel cough, the only treatment available is to let the disease end on its own. Your dog will suffer from an inflammation of the windpipe. To provide relief, you can try taking the dog to a steamed bathroom. Placing a humidifier in the dog’s room is also recommended. A very common problem with dogs is an ear infection. This is normally caused because of any bacterial growth in the ears. Other reasons can include allergies and ear mites. Dogs which have ear infection will shake their head very often. There will also be a bad smell emitting from the ear together with a reddish color in the ear canal. The dog might also walk improperly because of a lack of balance. If you see these symptoms, then you should get your dog to a vet and get the ears cleaned. Usually, a simple cleaning from the vet will be sufficient to resolve the issue. However, if the ear infection is very serious, then a surgery may be required. This is a deadly disease. Heartworms, as the name suggests, can infect the heart and arteries of a dog. A dog which is infested with heartworms will show symptoms like lethargy, coughing, depression, and so on. If left unchecked, the heartworms will eventually result in heart failure and death of the dog. So, if you think that the dog is infected with heartworms, immediately consult a vet and get the recommended treatment done. A surgery may also be necessary if the condition is too serious and the worms have spread too much. If cured, you will have to provide oral medications and injections to the pet for some time. Dogs are also susceptible to vomiting. And this can be caused due to food poisoning, parasites, heat stroke etc. If you see your pet drooling or heaving its abdomen heavily, then that is a definite sign that the dog will probably start vomiting. And if you see that there is blood mixed with the vomit, then you must immediately take it to a nearby animal hospital. After treatment, you may have to change the dog’s diet for a few days. Give your pet homemade foods rather than store bought ones. Within days, it should recover and be back in good health.